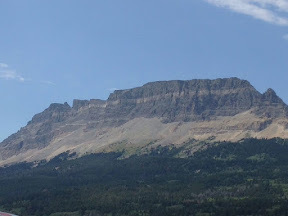 Canadian in Montana: Time for an Update! I thought semi retirement would be relaxing and give me time for my crafting!! Not so much! The last 2 weeks have been a whirlwind! 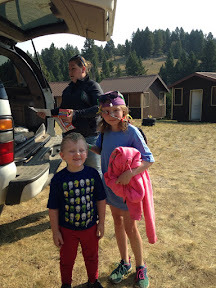 We took a weekend trip over to the Flathead at the beginning of Aug! A visit to Curtis' dad who was turning 92. We got to drive through Glacier before all the smoke invaded! 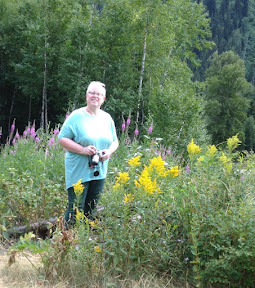 Bear grass has been especially beautiful this year, as has the fireweed! Kirsten and I did a day trip to Missoula for some shopping! That's a 6 hour round trip! She found some cute tops on sale for her new job and some back to school for the grandkids! Then a couple days later Kirsten and I were back on the road to pick up Harlee from Girl Scout camp. That was another 5-6 hour round trip! And we needed to be there between 9 and 10 in the morning!!! We left home at 6:45 with the boys in their pj's! 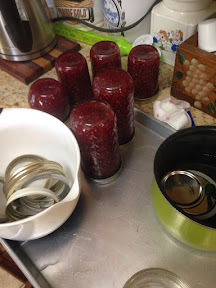 I found raspberries at Costco on the return trip and managed to crank out a couple batches of jam! No time for scrapping! 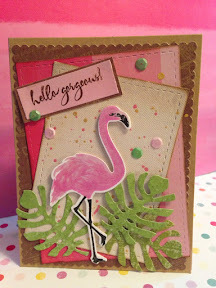 But I did finish off a couple cards I had stamped images for! You are a busy lady. 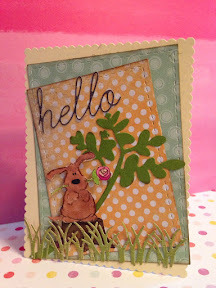 Glad you are at least having time for a few cards - these two are delightful. That's a lot of time in the car but at least you got some good buys & raspberry jam, oh my! What's that saying, if you need something done, ask a busy person. I cannot believe how fast this summer is moving along - the stores are full of back to school supplie.